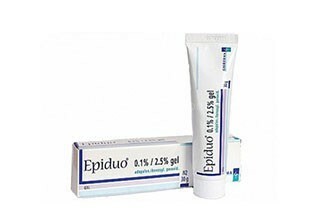 The gel of Epiduo is applied to the skin to treat acne. It contains adapalene, which is a retinoid that specifically acts on the processes that cause acne on the skin. It also contains benzoyl peroxide which softens the hardened layer of dead skin cells, so that it will peel off. Effect: acts on processes that cause acne. Another effect: softens hardened layer of dead skin cells.